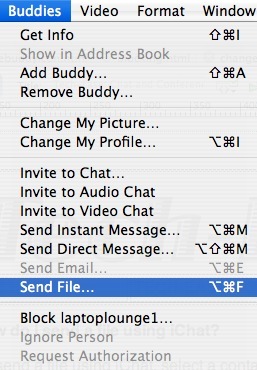 To send a file using iChat, select a contact from your Buddy List, then choose Buddies, Send File. 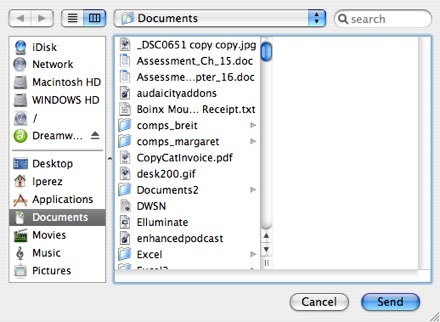 When the Finder window opens, you can locate the file you want to send. 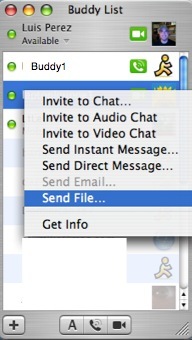 Once you have the file selected, click on the Send button and the file will be on its way.